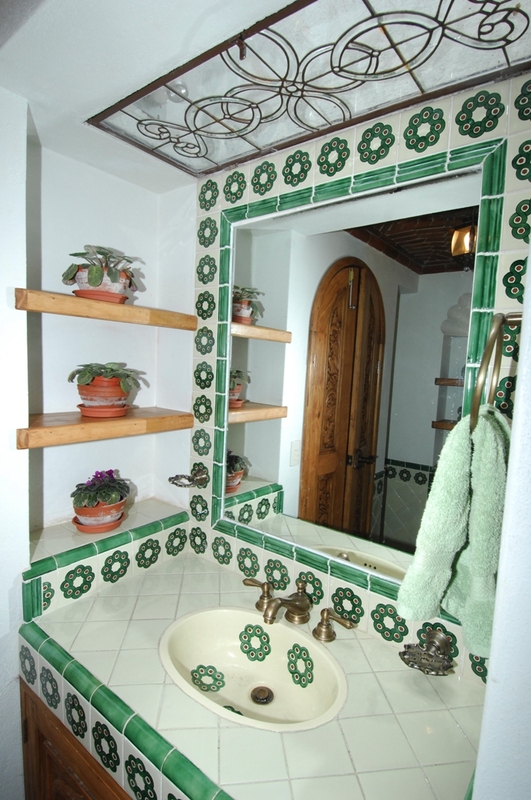 First room, top of the stairs, Las Ranas "jumps" out with its spacious layout and bright cheerfulness. 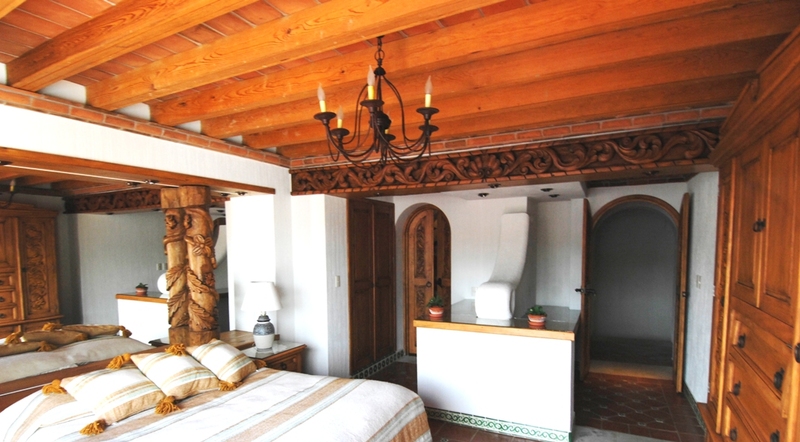 Its elegant design mixes traditional Mexican architecture with modern convenience to create a delightful ambiance. 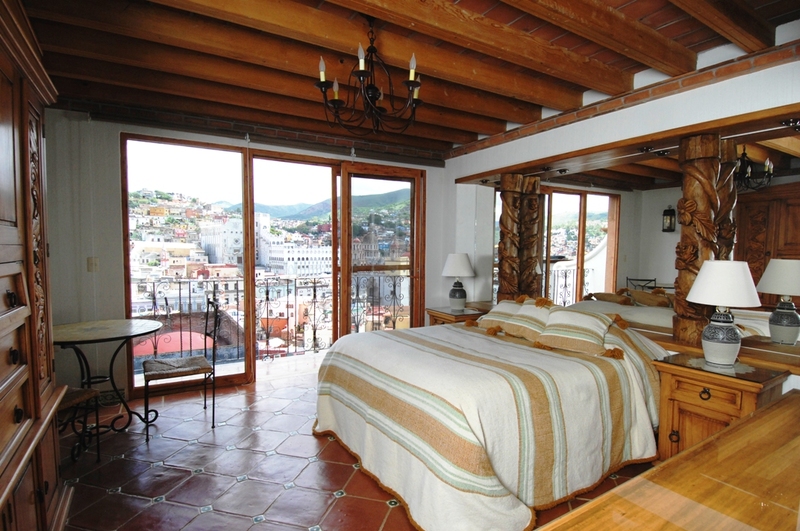 Sit by the balcony and quietly read or listen to the music of Guanajuato faintly floating in through the open glass door from the town below and know the tranquility that rests both mind and body. 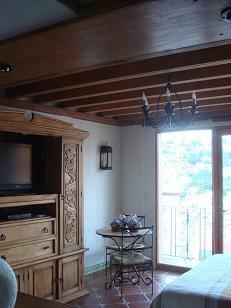 The handcrafted queen-size bed is firm in mattress yet soft in pillow, promising pleasant sleep and peaceful dreams. 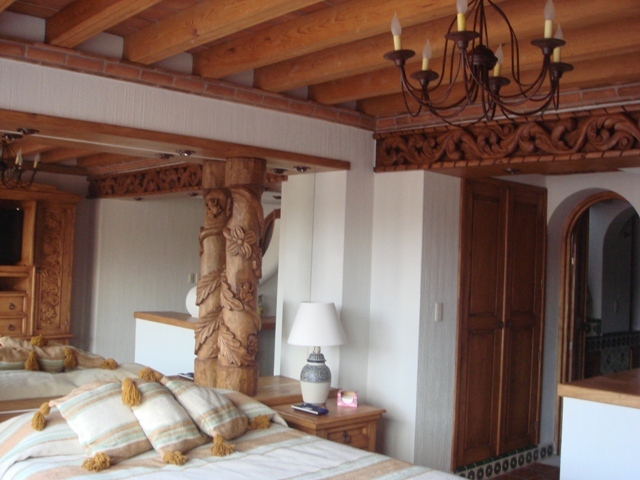 Handmade bathroom tiles subtly compliment the carved wood designs of frogs and lily-pads enhancing the doors, cabinets, rafters, and columns throughout the suite. 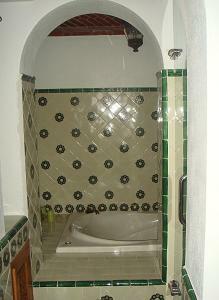 The shower(unseen to the right in this picture) is separate from the Jacuzzi. 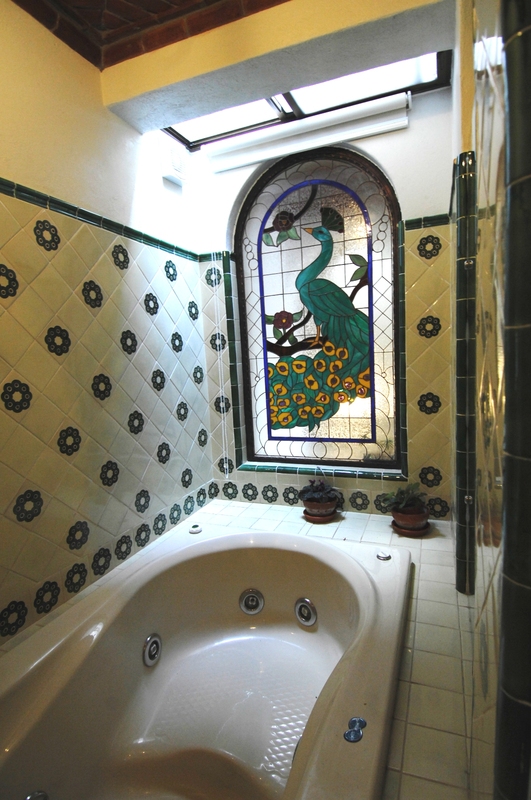 With the stained-glass peacock behind, the Jacuzzi rests within a tranquil grotto while by day blue sky and sunlight and by night the stars and moon are seen overhead, suspended above the skylight.